I’ve only a bit of business to report today – seems the last couple days have gotten away from me! Above is my “in progress” spinning basket. On the left is some beauuuuutiful fleece artist wool/silk, one bobbin done (will be 2ply); on the right is some of my dyed bfl, one bobbin done (also 2ply). After I’m done these I think I’ll try to finish up the soy silk/wool that I was working on before, and then back to more bfl…and merino…and I need to find some time to dye some more merino. Hm. Big heap of spinning! 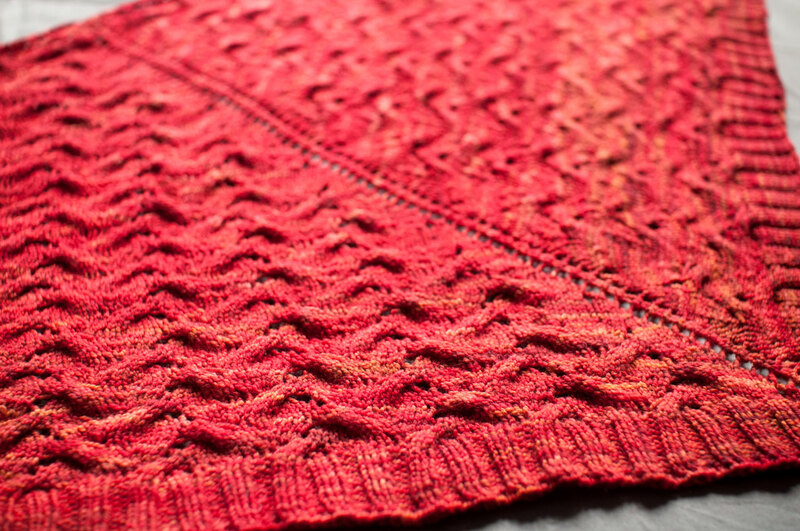 In knitting, I’m still working on the back of the cable/rib. Bor-ing, but it’s going fairly fast. I should block the finished sleeves now so I don’t have to do it later! Oh, and I finally blocked the black vneck, so photos of that should be up soon. I feel like I’m stagnating on the knitting projects lately, it’s not that I’m not inspired, but there is the push of schoolwork to get in the way. Speaking of which, check back later today (or check your bloglines) and I’ll have something up that I need your collective help with!